Dubai: Team Godolphin may want to reconsider their strategy on selling off horses after two cast-offs, Drafted and Capezzano, stole the show on week five of the 2019 Dubai World Cup Carnival at Meydan Racecourse on Thursday. 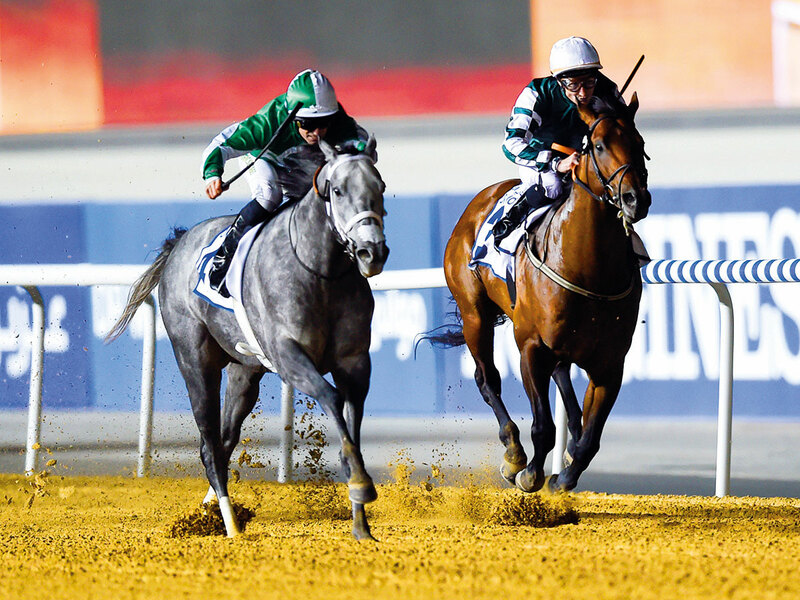 On a day of many surprises, most notably that of French-trained filly Silva in the UAE 1,000 Guineas, the Doug Watson-trained Drafted won a long-overdue Pattern race in the form of the Group 3 Al Shindagha Sprint, while Capezzano made it two-out-of-two for first-season trainer Sandeep Jadhav. He is a horse with plenty of ability. I guess we will now have to step him up in class after such an easy victory, but we will wait and see what the handicapper does. A son of Canadian champion sprinter Field Commission, Drafted also became the first Group winner and lone black-type winner for his sire, with his impressive three-quarter-length victory over the Argentine import Tato Key, who is trained in Ireland by David Marnane. The Al Shindagha Sprint is a major prep for the $2.5 million Dubai Golden Shaheen Sponsored by Gulf News (G1) on Dubai World Cup Night (March 30), where he is as low as 14/1 with leading bookmaker William Hill behind the 7/4 market-leader Roy H who was third in the race last year. Tato Key is also reasonably prominent at 16/1 with the same firm. Florida-born Drafted was purchased by former trainer Eoin Harty for Godolphin as a juvenile. He would announce himself as a serious sprinter when setting the track record for four-and-a-half furlongs on his racecourse debut at Keeneland Racecourse in America. However, Drafted fluffed his lines during an ambitious foray to Royal Ascot in England before his final start, where he also ran below part, before being auctioned off in a Dubai sale featuring Godolphin horses. Put in the case of six-time UAE champion trainer, Watson, Drafted appears to be enjoying a renaissance of sorts on the Meydan dirt where he has won five times since last January. Meanwhile Capezzano, who was also purchased out of the Godolphin sale in Dubai, stormed into the reckoning for the Group 2 Godolphin Mile on Dubai World Cup, with his imperious 14-length victory that reiterated his liking for the Meydan surface and the mile. International markets rushed for cover and slashed his odds to 6/1 (from 20s) for the $1 million contest, which is the first thoroughbred race on the $35 million nine-race Dubai World Cup card. It will be the Bernadini gelding’s second crack at the Mile, a race in which he could only beat one horse home last season and which was won by his stable companion, Heavy Metal. Previously in the care of Epsom Derby (G1) and Melbourne Cup — winning handler Charlie Appleby, Capezzano finished third behind Dubai World Cup (G1)-winner Thunder Snow in the 2017 UAE 2000 Guineas and Cosmo Charlie in the Listed Al Bastakiya. “He is a horse we have always known has plenty of ability,” said Jadhav. We were quite hopeful coming here tonight, but did not expect that. Grabbing their share of the limelight once again were the thriving Phoenix Ladies Syndicate who captured win number six courtesy the hugely impressive Golden Jaguar, a son of 2013 Dubai World Cup winner Animal Kingdom.